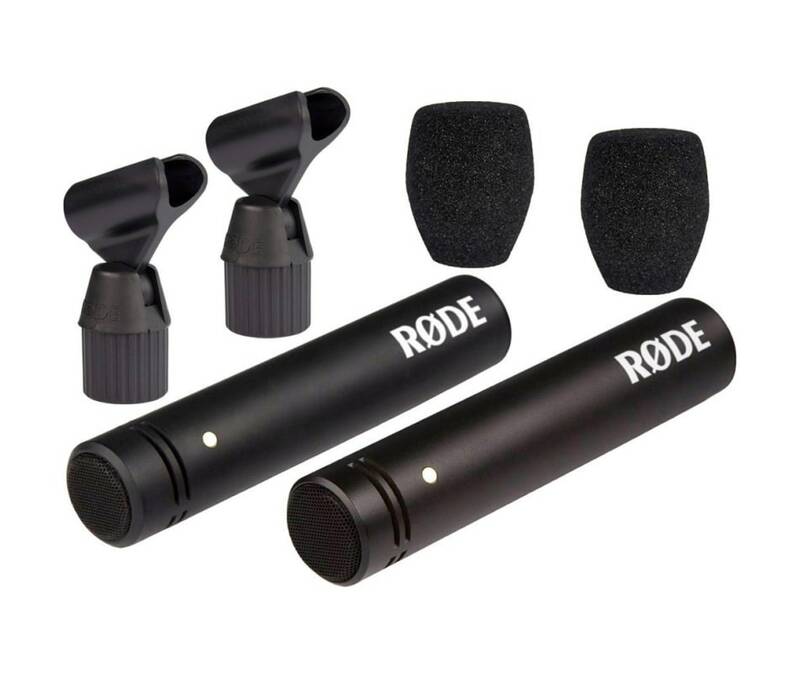 The Rode M5 Compact 1/2" Condenser Microphone matched pair have variation of no more than 1dB of sensitivity between microphones. The M5 itself is a pencil-style mic that features a 1/2" diameter gold-plated membrane capsule with a cardioid polar pattern. The mics have transformerless circuitry for low noise operation and can be used in typical live and studio applications for small diaphragm condenser mics, including on acoustic instruments, choirs, as drum overheads, and more.